Gov. Jay Nixon kicked off the second year of his 100 Missouri Miles Challenge at Rock Bridge Memorial State Park Wednesday. The 100 Missouri Miles challenge asks Missourians to complete “100 Missouri Miles” of physical activity, such as walking, running, paddling or biking. 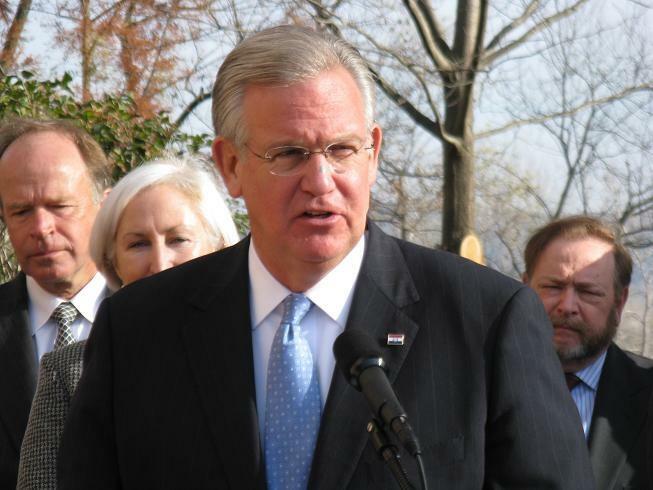 Nixon said the program has played a part in creating a healthier Missouri. Nixon said the program was created after Missouri was named the best trail state in America. Amanda Van Woert moved here from Nevada last year. She said the program was a great way to see the state. She said you could tell the program was new last year, but she thinks it is going to come together better this year. “I think they’ve really got a handle on it and you’re going to see so much more cool stuff coming out of the program,” Woert said. One feature Woert really likes is the badges. Participants earn badges as they log miles activities. For example, there is a badge for hiking 10 miles or swimming 25 miles. There are also badges for visiting state parks, such as the Katy Trail State Park badge, or attending events. “I came here specifically to get the 100 Missouri Miles kickoff badge,” Woert said. Last year, Missourians logged more than 1 million miles. This year, the Governor hopes to beat that number with a new interface for the website.